Valentine’s Day is coming and it brought back memories of a spill I had last year. 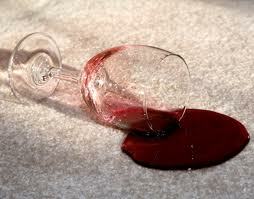 My spouse and I were cuddling on the sofa, when I accidentally knocked over a glass of red wine onto my carpet. It left a bad stain. 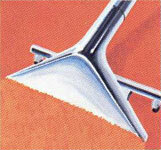 What could I use to clean a red wine stain from my carpet? Love can cause us all to swoon and get a little klutzy, but no worries, you can usually get those stains out of your if you act quickly. Follow these directions to get rid of any evidence of your “kluziness”…. Step 1: Blot up as much of the spill as is possible. 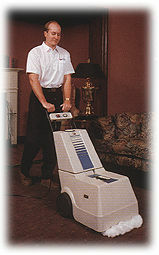 A wet/dry vacuum is useful if a large quantity of liquid was spilled. 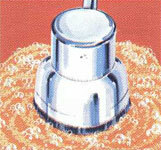 If spot has dried, saturate the tufts in the affected area with tap water (do not over wet). Allow to remain for about one minute and blot. 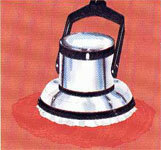 If the spot is being removed using water, continue until the spot is completely removed. Blot dry and apply the paper towels and brick. If it is not completely removed go to the next step. Step 2: Neutralize with a solution of 1/3 cup of white vinegar, 2/3 cup of water. Saturate spot, using a spray bottle and blot to remove excess moisture. After neutralizing, go to back to step 1. Next time your sweetheart makes you swoon, make sure you don’t have a glass of wine in your hand.